Keeping schools safe allows children to look forward to being in an encouraging environment that promotes social and creative learning. When their basic safety needs aren't met, children are at risk for not feeling comfortable at school and may stop showing up, or they may remain on edge throughout the day. 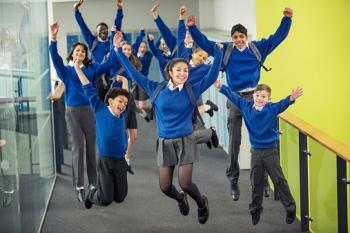 Promoting school safety creates an open space for kids to explore, learn and grow. A safe learning environment is essential for students of all ages. Without it they are unable to focus on learning the skills needed for a successful education and future. 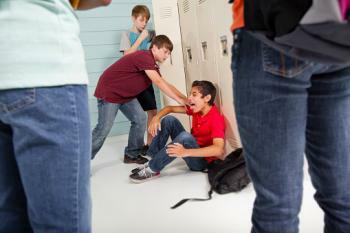 When violence is part of the educational setting, all students are affected in some way. Even though your child may not be the actual victim of violence in school, there is a very good chance that he or she will witness violent acts throughout the educational years. Research continues to illustrate children who feel unsafe at school perform worse academically and are more at risk for getting involved in drugs and delinquency. The issue of school safety is a major concern at all levels of government, from local to federal. School boards meet with teachers and parents to listen to their concerns and suggest solutions. State and federal governments are taking steps to improve school safety and law enforcement as the nation realizes the importance of this issue and how it impacts children's futures. Although there are experts that say violence has always existed in schools, many are concerned about the increased number of violent acts taking place there. Some even argue violence in certain areas has reached epidemic proportions, desensitizing many students and leaving them feeling violence is a normal part of their school life. Sadly, violent acts in schools occur at all educational levels with 8 percent of students reporting they have been involved in at least one physical fight at school, and 6 percent reporting missing school at least once in a month long survey period because they did not feel safe. Every child should feel safe from violence in their school, yet there are many that do not. Today, it is not unusual for students to violently attack other students, teachers, security guards, and school personnel, showing a complete lack of respect for authority. These attacks often result in injury and at times, death. Witnessing these acts can also cause intense fear and anxiety within other students as well as staff members, making the school environment a psychologically distressing place to be. With a higher number of teachers using technology to educate their students, the need to better understand and promote safe internet usage is critical. Online, children are at risk for being bullied by peers or anonymous users and being taken advantage of by adults preying on younger folks. Exposure to inappropriate content and disturbing images and language should also be considered when using computers or tablets in the classroom. Safety online is just as important as physical safety. An estimated 55 percent of LGBT students report being cyber bullied, and 15 percent of high school students have experienced this as well. Kids who are in an environment where bullying takes place are more at risk for suicidal behaviors compared to students who are not exposed to bullying. 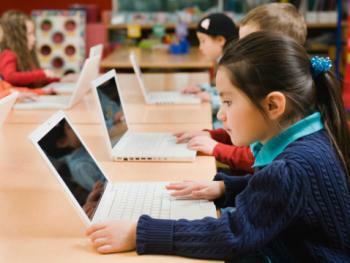 Programs that support safe use of technology can greatly impact the mental health of the students using it. When considering violence in schools, the horrific acts that occurred at Columbine High School, Virginia Tech, and Northern Illinois University come to mind. These incidents, and others like them, are some of the worst cases of violence in schools. It can be difficult to think about the increase of school violence and what that means for students. The following are a few of the many incidents that exemplify the need for school safety. A first grader from Michigan shot and killed another first grade child. A 14-year-old student attending a school in Ohio for high achieving students shot and killed two students and two teachers and then himself. The day before he had been suspended because of a fight with another student. A Philadelphia kindergartner repeatedly punched his pregnant teacher in the stomach during an attack. A teen from Milwaukee physically assaulted his teacher during class. A California high school student threatened to shoot students at their school and was later taken into custody. A pregnant teacher in Ohio was brutally attacked by a student. In Texas, a ten year old boy was set on fire in the school playground by a group of kids. Within two years of the Columbine High School shootings there were eight similar school attacks, each resulting in severe injuries and death. The crisis of violence in schools has devastating effects. All necessary steps and precautions need to be taken to ensure the safety of all students. Zero tolerance policies and violence prevention programs need to be instituted in schools. Parents, schools and communities need to work together to take measures to make their schools a safe place for everyone. Safety in schools is necessary to support the academic success of each child, giving them the opportunity to learn and achieve in a safe and nurturing environment. Strict policies on school safety promote increased learning, feelings of school unity, higher levels of pro-social behavior and decreased levels of violence.